Have you ever encountered a bump on your skin and found that it has hair underneath it? 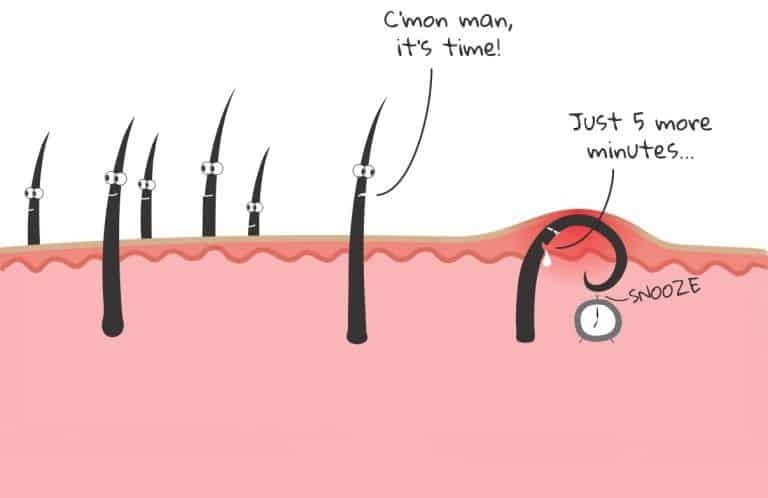 Ingrown hairs are hairs that have grown back into your skin instead of rising up from it. Mostly due to your clogged up skin. Some people are naturally more prone to it than others. Some are using products which can causes it (chemicals, lotions, exfoliants). Others came from waxing which removes hair on the opposite direction your hair grows. Shaving causes ingrown as well. These are the few causes of ingrown I've known of. I will discuss ways how you can avoid ingrown on my future blog.